Dr Wesley A Miller MBA MBBS FRCSI is a consultant otolaryngologist. He runs Ear, Nose & Throat (ENT) Health Practice Limited, Bermuda. He is a Fellow of the Royal College of Surgeons, Ireland. 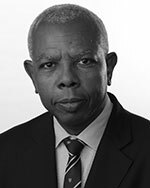 He is also Chief of Surgery at Bermuda’s King Edward VII Memorial Hospital (KEMH). Dr Miller worked in Jamaica before moving to the United Kingdom. He was awarded Fellow of the Royal College of Surgeons in Dublin, Ireland in 1989 and continued to work in the UK. He was a registrar in Portsmouth, then a senior registrar in Northern Ireland. Dr Miller was an ENT surgeon in Rotherham, Yorkshire, before he moved to Bermuda. In 1996, he was recruited to work as an otolaryngologist in Bermuda. Masters of Business Administration. His MBA research thesis was on factors influencing migrant nurse retention in Bermuda. Dr Miller saw a need for better care quality and processes at Bermuda Hospitals Board (BHB). When he started at BHB, he worked with the Gosling ward head nurse on BHB’s first tonsillectomy care map. This care map was the foundation for the ‘Gosling ward protocol’. Dr Miller continues to treat paediatric airway problems. He fosters close working relationships with nurses, residents and paediatricians. Member of the academic faculty of the Caribbean Association of Otolaryngology (CAO). Vice president of the CAO. He hosted the CAO meeting in Bermuda in 2003 and 2014. Please book a consultation appointment to discuss your health concerns with Dr Miller.